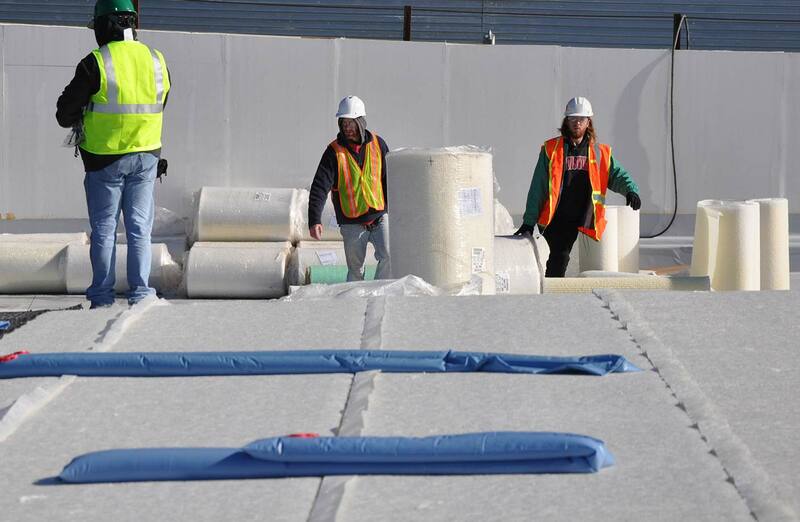 A lightweight and flexible geotextile that filters out soil particles to keep drainage path clear. XF Filter lies between the growing medium and the drainage layer, stopping small soil particles from clogging the drainage core while letting excess water through. 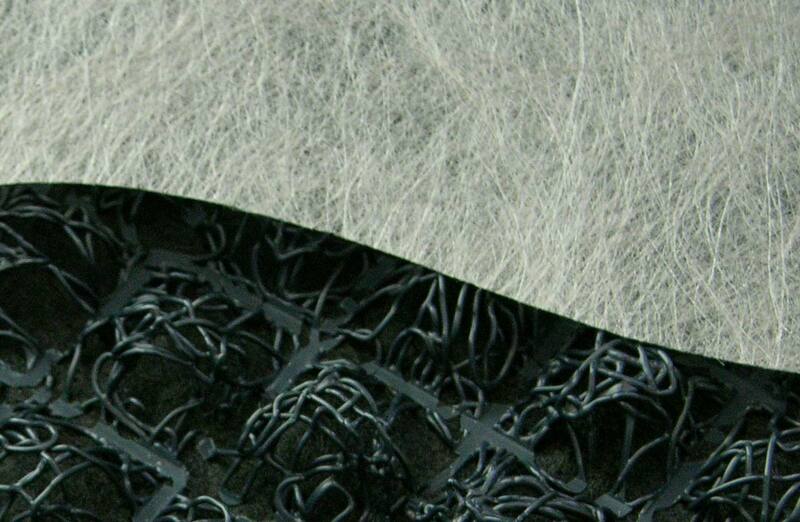 XF Filter is made from high quality fabric that are non-rotting, durable and dimensionally stable for long term performance. XF Filter is light, flexible and quick to install. 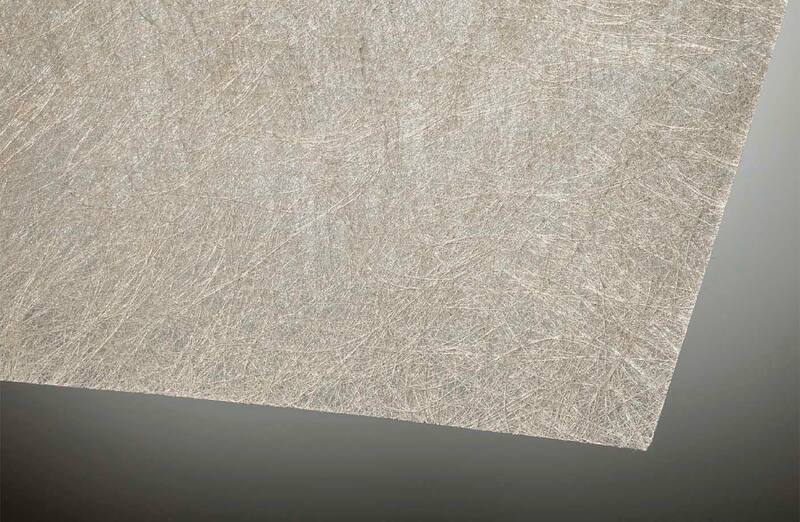 It has high tensile and tear strengths to withstand rough handling during installation. Keeps drain cores free and clear. Lets water pass through freely. Stops aggregate and soil particles. Durable and does not rot. 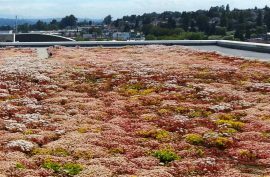 Extensive green roofs weigh less, need little or no maintenance, help save energy and water, and support bio-diversity. 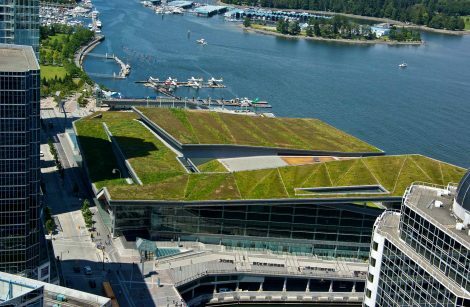 An effective green roof drainage mat is critical for a successful installation, and brings environmental benefits. 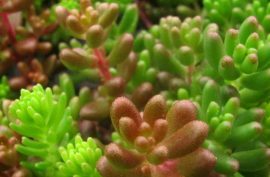 Planting a green roof in situ with sedum cuttings or plug plants, and then caring for it, can be satisfying and affordable. 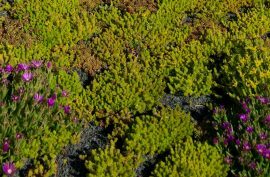 Stabilises green roofs – no need for hydromulch or wind netting, and you have flowers and foliage all year round. Vancouver’s heavy rainfall called for an Enkadrain solution that was tough, reliable, and could deliver extraordinary performance for a world famous project. 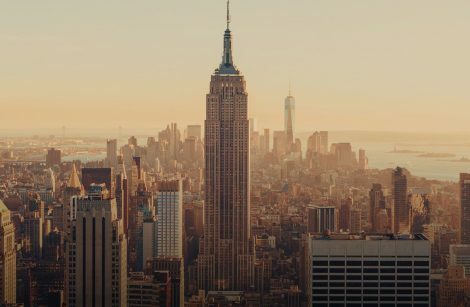 Our green roof system helped beautify New York’s Empire State Building, while saving energy and adding value. 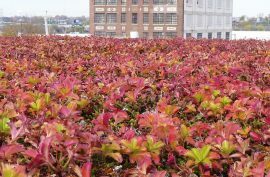 Contact our team with any questions about your green roofs projects. 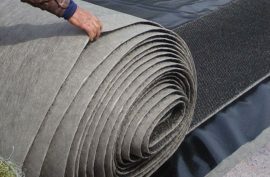 We'd be delighted to arrange the delivery of a product sample, to help with your project planning.  Please complete the form below and we will contact you shortly about your sample request. 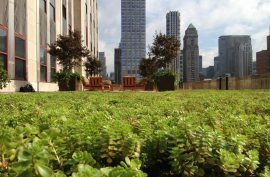 Click here to stay on Low & Bonar Green Roofs website.